The commune of San Gimignano in Tuscany isn’t even accessible by train. Once you step off the bus from Florence, you walk uphill through the Medieval cobblestone street directly into the main piazza. In this small square, alone, are three spaces that belong to Galleria Continua, founded in 1990 by Mario Cristiani, Lorenzo Fiaschi and Maurizio Rigillo. Its main exhibition space, a preserved 1940s-era cinema (complete with the original projectors), on Via del Castello (and the secondary space at mortuary chapel nearby) plays host to three separate bodies of work from Michelangelo Pistoletto. A hall of mirrors adorns the first room at Via del Castello. 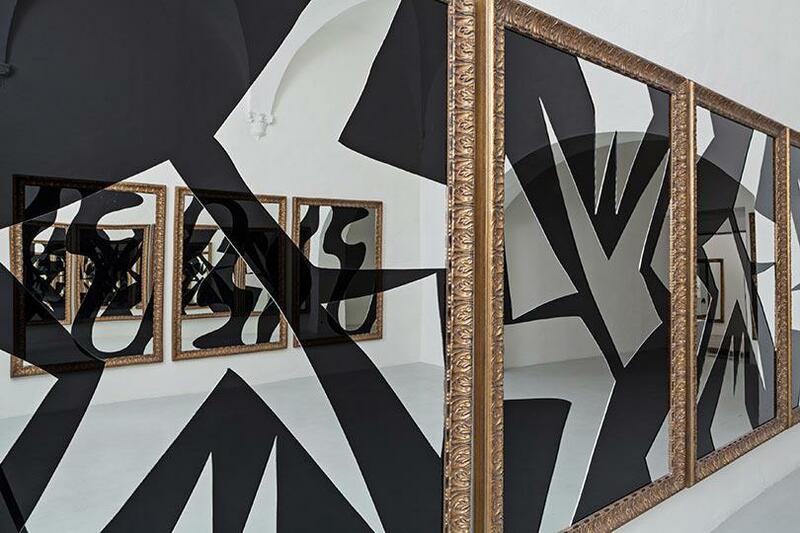 Black swirls and angular shapes are laid out in various forms over the silvery panes, surrounded by ornate gilded frames: these are examples of Pistoletto’s ‘Vortice’ (Vortex) cycle. 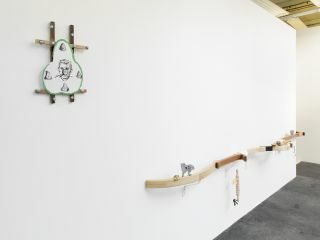 At the centre of the white cube, shards of broken mirrors are arranged in a neat pile. 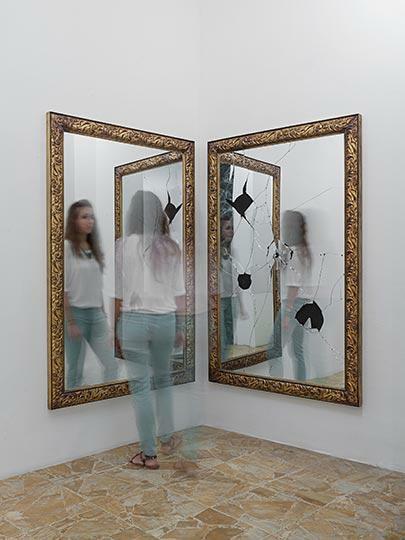 Two of the mirrors that Pistoletto actively smashed with a mallet in a live performance at the 2009 Venice Biennale, ‘Two Less One’, are displayed side by side near the reception desk. 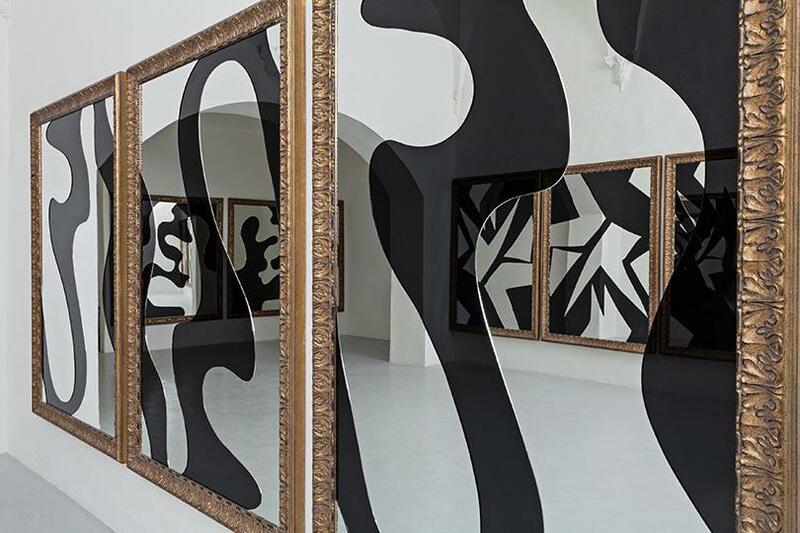 A small antechamber holds two of his most recent mirror ‘paintings’ (called ‘Quadri Specchianti’), a series first begun in 1962. These stare directly at one another, reflecting the same action of two figures in two planes; the first shows a woman raising her hands in a square gesture, the second shows a young man observing a Roman statue (both images were taken at the Louvre). Another tiny room holds two vinyl signs opposite each other. The complete work, titled ‘Il giro del mondo’ (‘The turning of the world’) is composed of two words reading ‘Partenza’ (‘Departure’) and ‘Arrivo’ (‘Arrival’, printed backwards). Directly across is another printed sign guarded by a series of steel fences, bars and screens fashioned into doors. Through the metallic gates, the sign reads ‘L’Arte É Ancora Libera’ (‘Art Is Free Once More’). Both signs are tongue-in-cheek, but convey a deeper disturbance within the realm of ubiquitous, universal symbols and visual communication. 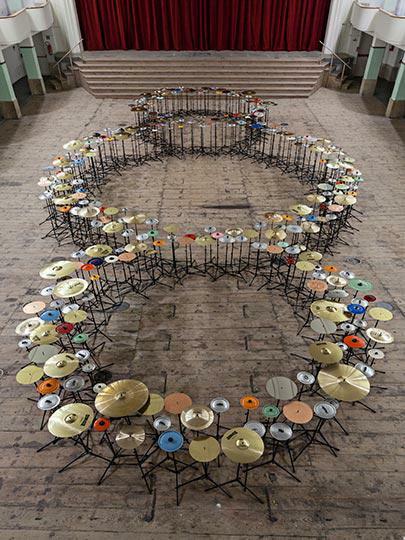 The cavernous space where cinema-goers once sat holds a large formation of the Arabic infinity symbol (three concentric circles joined together) using upright cymbals as a medium, while the galleries above bear photographic evidence of the symbol recreated in both organic and inorganic formations. 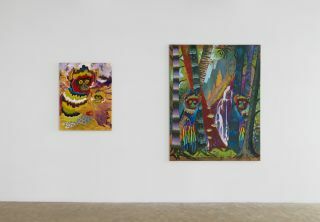 The project, called ‘Terzo Paradiso’ (‘Third Paradise’), began with a written manifesto a decade ago and has taken shape as installations, situations and happenings ever since. The symbol, itself holds no copyright or branding restrictions and is an ancient herald of thinking beyond simple polarities of male/female, right/wrong and life/death. Tucked inside the gallery’s additional space at the Mortuary Chapel (a short walk down Via San Matteo), a polystyrene box nurtures the flames of the same symbol made from candles. 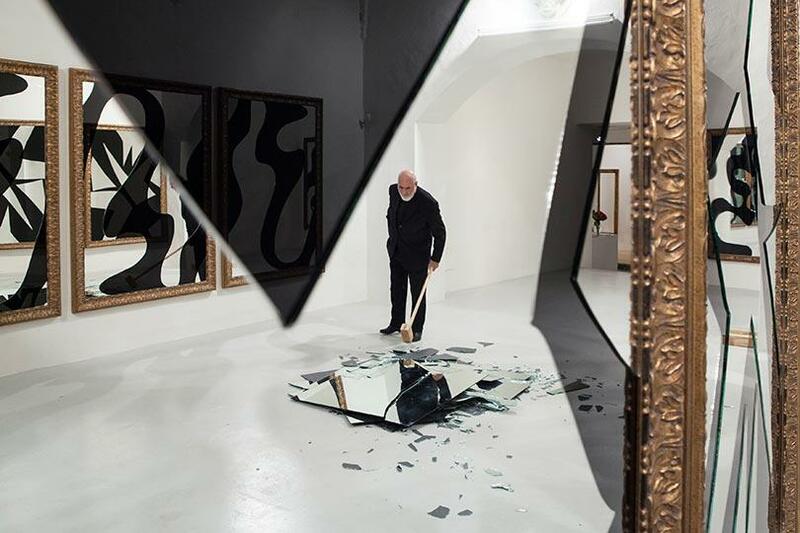 Pistoletto has consistently reinvigorated the problematic act of looking and observation both for the informed and lay viewer. The mirror is a manufactured object seemingly engineered to convey truth when, in fact, he highlights its ability to confuse and betray. Negative spaces become active, reflective surfaces become opaque voids. 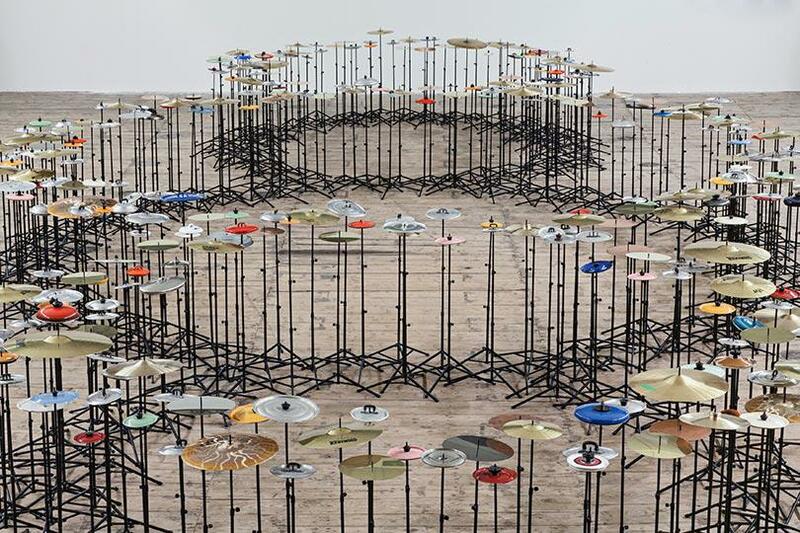 Shattered glass and ancient signs from cymbals relay sound, even without human interaction.